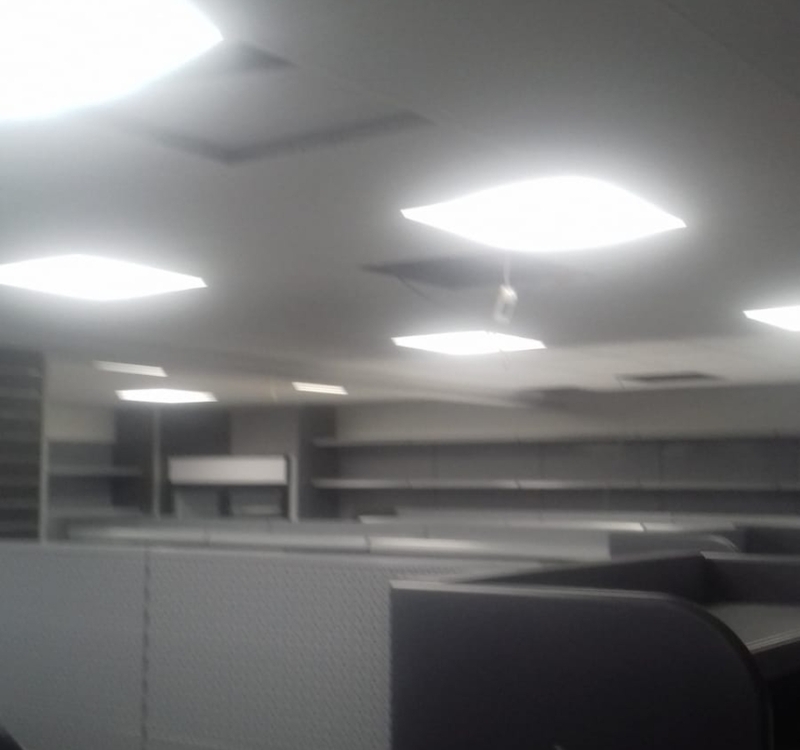 We had a call from a customer who had found us online. 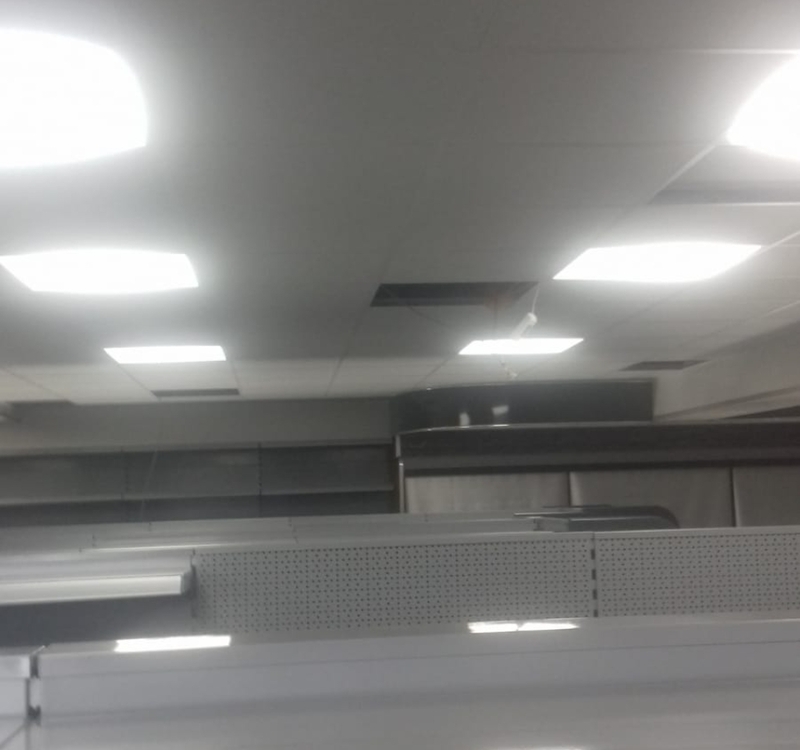 They had just taken over a retail unit and wanted a suspended ceiling along with ceiling tiles fitting throughout the area. 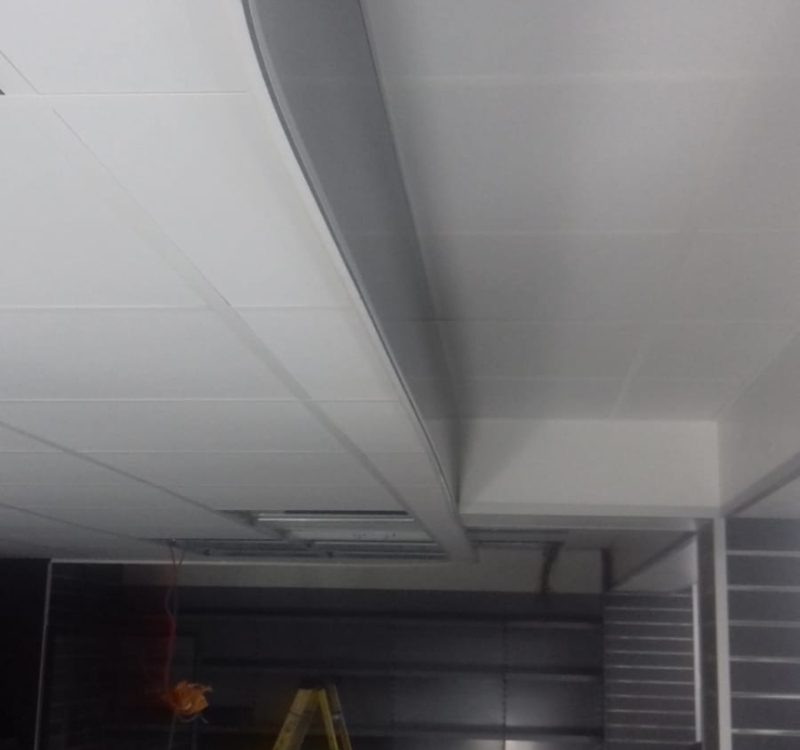 They wanted a clean looking , smooth surface so we fitted the Vinyl Faced Ceiling Tiles throughout the whole area. 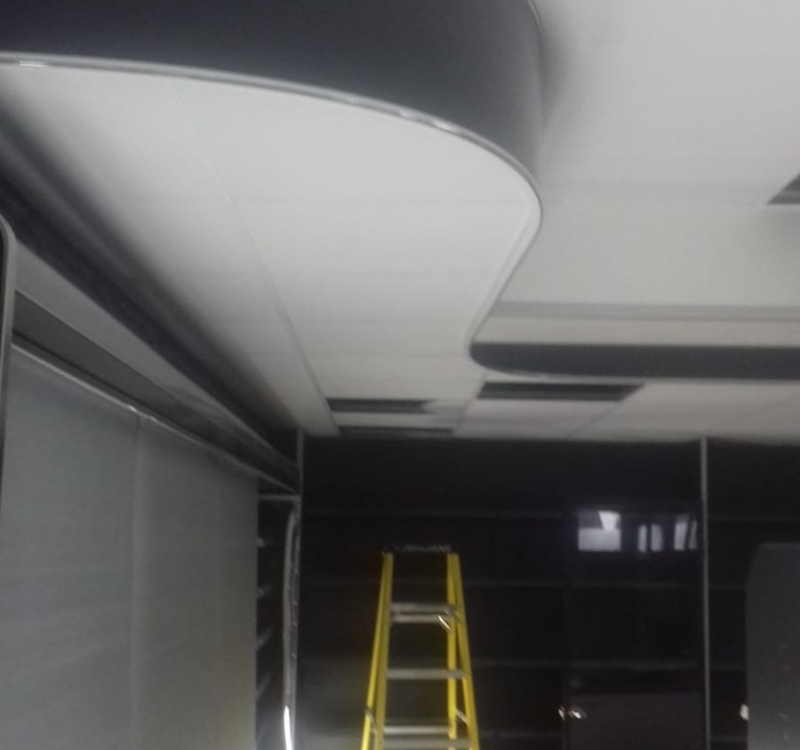 There were a lot of curved edges that the ceiling had to follow in this job so it proved to be very difficult. 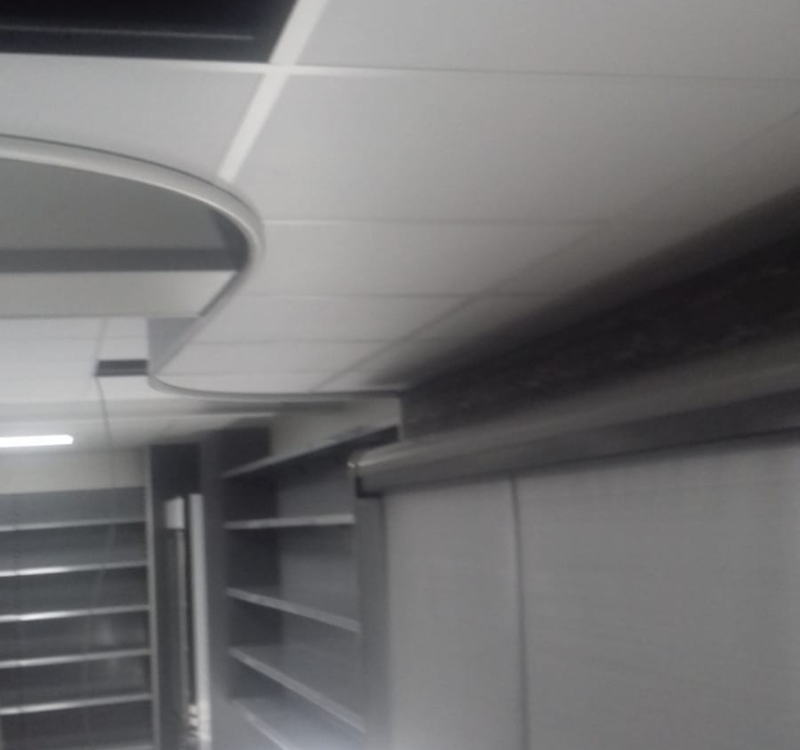 Luckily for our fitters, the vinyl faced tile can be cut cleanly with just a sharp Stanley knife, which allowed them to cut along as a curve. The customer is very happy with the way this looks now it is up.